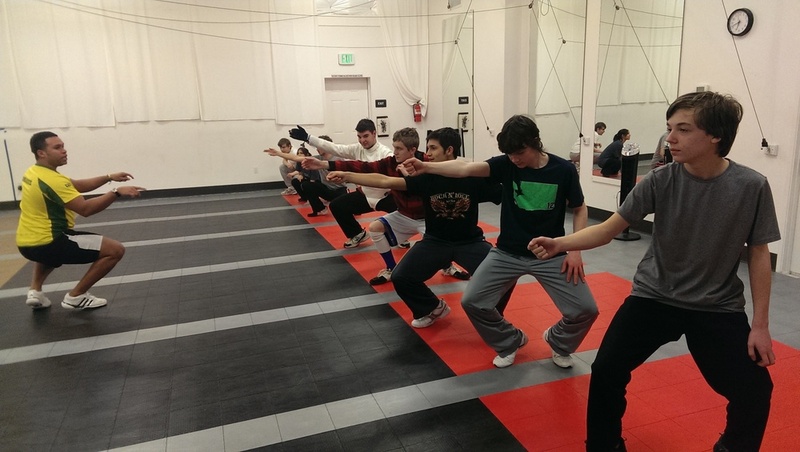 The Washington Fencing Academy was founded with the belief that every person who decides to try fencing has the opportunity to be successful in the sport, whatever their athletic ability or fitness level may be, and whether they want to be competitive, recreational, or both. Furthermore, we believe it is the Academy's responsibility and commitment to each individual to help him or her understand, realize, and achieve the goals that, for that individual, equate to "success." With the addition of our new head coach, Atilio Tass, we have taken the curriculum a step beyond to combine their rich heritage of Olympic-level fencing and ivy-league coaching expertise. Curriculum. Our classes adhere to a defined, proprietary curriculum intended to help fencers learn to fence according to their goals and interests, which may change over time. The curriculum is a guideline that each coach in the club will interpret and apply, combined with their own training and experience, to individual athletes. A fencer may begin the sport without plans of being competitive; at some point, however, they may decide to move from recreational and "fitness" fencing to competition. Or, a fencer may decide to try a new weapon to change completely or just to experiment with another aspect of fencing. For each scenario, we work with the individual to help set goals, adapt and change as they grow and learn, and get the most benefit out of their fencing experience. Achievement. Traditionally in fencing, athletes mark their growth through achieving various results in local, regional, national, and international competition. At the WFA, we take this a step further because we know that fencers achieve many skills, interests, and abilities regardless of their results in tournaments. As such, we also provide a comprehensive merit system (the "blades" program) that, similar to martial arts "belts" or scouting merit badges, allow fencers to be recognized and rewarded for their growth. Expectations. Fencers are passionate, bright, social, and energetic about their sport. They are also honorable and usually exhibit excellent sportsmanship. We expect this of our fencers. We support one another, enjoy social activities together, and our events often mix adults and youth fencers of both genders and all skills. In addition, we expect our competitive youth fencers to maintain minimum grade point averages in order to attend tournaments, and we demand exceptional behavior and team spirit in all gatherings. In all cases, we require sportsmanship, respect, and a team-orientation in every athlete. Safe Sport. The WFA participates in and adheres to the USA Fencing "Safe Sport" program, "...which, along with other leading youth sports groups, national governing bodies and the U.S. Olympic Committee, is committed to taking a proactive, multi-faceted approach to creating a positive and safe environment for all of our athletes," according to USA Fencing. "In addition, the [new] policy brings us in-line with industry standards, USOC requirements, and insurance guidelines." For more information about Safe Sport, please click here.